Lets consider the question, 'What is an Electrolyte' from a more basic viewpoint. Electrolytes provide for electrical charges that make nerve transmission possible. Electrolytes also are involved in acid / base balance, something our bodies are constantly trying to maintain. As described on the electrolyte directory page, an analogy of what electrolytes do in the body could be an automobile electric system. While most cars run on gasoline, without the electric system to provide the spark, they will have no way to get the gas ignited. The electric systems in the human body function with the help of chemical substances that allow the transmission of the electric impulses. These chemical substances are called electrolytes. In the human body, there are seven particular types of electrolytes that are important to our health. It is a a liquid or gel that contains ions and can be decomposed by electrolysis. In human physiology, electrolytes are the ionized or ionizable constituents of a living cell, blood, or other organic matter. Origins: mid 19th cent. : from electro- + Greek lutos ‘released’ (from luein ‘loosen’). Consider what this means in the science. Here are two ways electrolytes work. Consider this from a chemistry viewpoint. Fluid decomposition by electrolysis requires electrolytes. Most people may not be aware but pure water is a poor conductor of electricity. When there is an electrolyte added to the water, it more readily conducts electricity. When a salt, such as baking soda (sodium bicarbonate) or even table salt (sodium chloride) is added, the electricity can pass through the water. When direct current (DC) electricity is passed through the water, it causes the water to split apart into oxygen and hydrogen. So the electrolyte provided the ions that dissolved in the water that helped the water to split apart once the electricity was available. Remember, the definition above, electrolytes are the ionized or ionizable constituents of a live cell. Ionizable means that an atom or group of atoms can be electrically charged. Your car battery also uses an electrolyte. In this case, the electrolyte allows the electricity to pass to the positive terminal. In the human body, electrolytes have a similar function. Like your car battery, electrolytes make possible for the cells to generate energy. A number of functions in the human body require electricity. Brain impulses, the heart pacemaker has an electric conduction and even the flexion and relaxation the muscles. Also similar to the batter, electrolytes play a role in the control of the acidity of the body. There are seven major or main electrolytes important to our body. 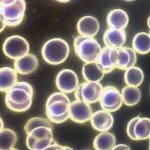 Our cells use electrolytes to generate energy. They also help with the stability of cell walls. Electrolytes are involved in the generation of electricity, help with the contraction of muscles and move fluids and water inn and out of cells. Electrolytes once inside our cells within our body, they are involved in a number of additional activities. 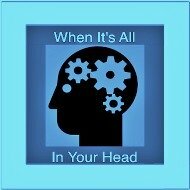 Hormones control the concentration of electrolytes in our body. Specialized sensors in our kidneys monitor how much potassium, sodium and water are maintained in our bloodstream. To maintain the levels of electrolytes, our bodies can shift water from the place of lest need to the area of greatest need. 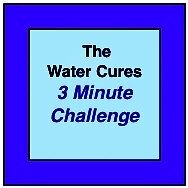 When our bodies are in a state of drought or if we get an excess of any electrolyte and not enough water is coming in to dilute and expel the excess, then a surplus of electrolyte can result. Consider This: Since our body does not process the supplement the same way as food, you can develop a surplus. Think of this as an overdose. If you overdose on some electrolytes you can have severe health consequences. If you overdose on potassium, you may get a tingling sensation in your hands and feet. You may experience muscular weakness and even temporary loss of muscle function ( called paralysis). Even worse, abnormal heart rhythm (called cardiac arrhythmias) which can result in cardiac arrest. Too much magnesium can cause a fall in blood pressure (called hypotension). Then lethargy, confusion, disturbances in normal cardiac heart beat (called cardiac rhythm) and eventually deterioration of kidney function, are related to severe hypotension. At its most severe, too much magnesium supplementation (called hypermagnesemia) could result in cardiac arrest. Too much calcium (hypercalcemia) in the past resulted from the practice of using calcium supplements (1.5 to 16.5 g/day). Most often the overdose results from the combination of calcium carbonate (antacids) along with milk when used to treat stomach ulcers. Symptoms may include confusion, delirium, coma, and if not taken care of, death. Additionally, increased calcium supplement intake has been associated with increased risk of prostate cancer. It was found they had a risk of an advanced prostate cancer that was three times higher than men whose calcium intake was less than 500 mg/day. There was also a four times greater risk of the cancer metastasizing or spreading to other parts of the body. In another study, smokers had an increase risk if they took in 1000 mg of calcium supplements. 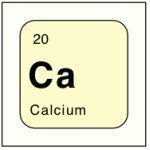 But, not all studies showed the connection between calcium intake and prostate cancer. A 2006 study found that taking calcium did not increase prostate cancer risk (59. Severi G, English DR, Hopper JL, Giles GG. Re: Prospective studies of dairy product and calcium intakes and prostate cancer risk: a meta-analysis. J Natl Cancer Inst. 2006; 98(11):794-795; author reply 795.). 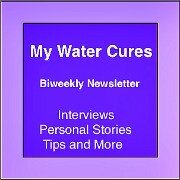 We suggest that the hydration status, more specifically, the intake of pure water could play a role in the outcomes. 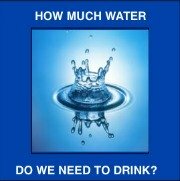 Water could be so important that it could possibly be the one factor that changed the outcomes. We look at electrolytes slightly different than most. 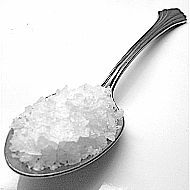 While there are elements that say reduce salt, we encourage taking more salt and along with it, more water. 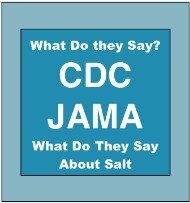 We suggest taking less salt than what is found in a saline IV such as you would get in a hospital. When taking electrolytes, only naturally occurring electrolytes are safe. Any modified, chemically similar or man made electrolytes will cause harm to the body. Only naturally occurring electrolytes are safe and will produce the desired health outcomes.